R obin’s Nest Nature Playgroup is a free, drop-in activity for families to gather, learn, and play in nature. Guided by the idea that children need to spend ample time outdoors, we offer a community experience in the world of nature and will model ways the natural environment can be used as a tool for learning and play. Engaging with nature’s seasonal offerings stimulates curiosity and a sense of wonder while fostering self-confidence and empathy for all living things. Join us for 2 hours of spontaneous play, exploration, discovery, song, nature inspired crafts, and oral storytelling. For children 0 - 5 years old and their parents or caregivers. This program is entirely outside, so be prepared with water, snacks, and clothing for staying warm and getting wet! 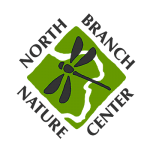 NBNC thanks the Vermont Community Foundation for making the Robin's Nest Nature Playgroup possible. Robin's Nest Nature Playgroup is a free program made possible by donations.